So, the school year is officially over in our home and I’m already thinking about next year. It seems I’m not alone because in the past week two moms have asked me about curriculum choices. In particular, they were both asking about online courses. This has been on my mind lately as well. 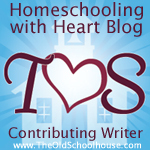 How do I choose an appropriate online class or curriculum for our homeschool? First, it makes sense to identify why you are looking for an online class. If you’re just looking to introduce your child to a new method of instruction, a digital platform, then the particular subject matter may be secondary. A fun elective may be a good choice in this instance. Maybe you are looking for an online class that will teach your child a subject that you don’t feel comfortable teaching, or just don’t particularly want to teach. Or, maybe there are several classes that you’d rather outsource. Second, once you’ve identified why you’re looking for an online class, then you need to figure out what type of class you hope to find. Do you want a live class with teacher and/or student interaction? Do you want a stand alone class that your child can work on at his or her own pace? Do you want to be involved in the class by correcting assignments and tests or do you want someone else to do that? Some kids are very self-motivated and can work alone without issues. Others perform better with daily accountability. You will need to decide which type of class format would be best for your child and your schedule. Third, once you know the type of class you’re looking for, then you need to find it. This step can be tricky because there are so many choices. Some are free, some are expensive, and some are somewhere in between. Some require a yearly commitment and some do not. What happens if you pay for a class and it’s not a good fit? What is the cancellation policy? Spend time looking for all of your options. Ask others for suggestions and read reviews. Create a list and compare the features of each one. Fourth, once you have a list of possibilities, now you really need to do your research. Most online classes will have sample classes or free trials. You need to know what you’re getting into. Check out all of the sample classes even if it takes some time. I was researching an online class once that I thought would be a good fit for my child. This company allowed you to preview an actual online class in session. At first, it seemed great. The teacher was live on video and the students were present in an online chat feed. She asked questions as she taught and they responded via chat. However, that’s not all they chatted about. Soon, I realized that the students were there for a chat session and not the instruction. This was not what I was looking for. I was thankful that I found out before I had spent any money on the class. Choosing an online class may seem daunting, but breaking it down into smaller steps can help. Don’t forget to ask your child for some input, too. After all, he or she is the one that will be completing the class. There are great options online and you may actually find that they make your homeschooling journey more manageable and rewarding.